What if the future of Design is Design Thinking, and anything else disappears? 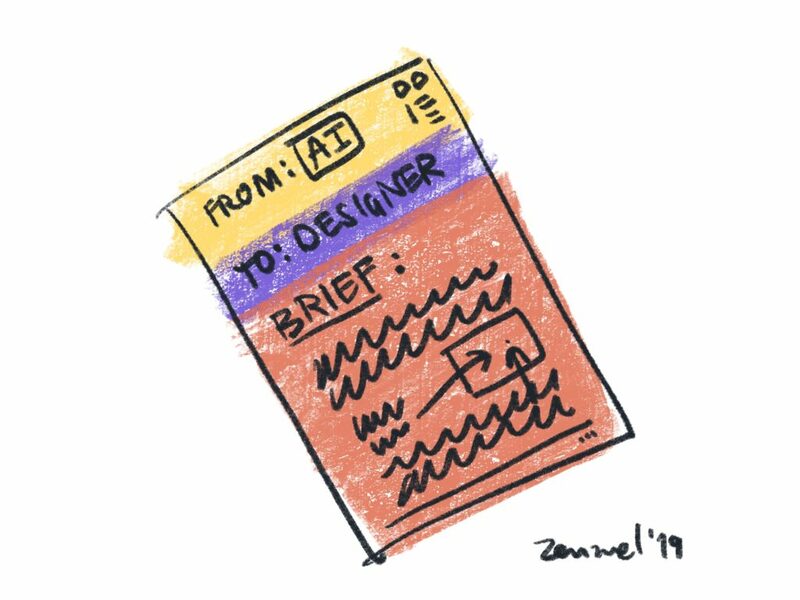 What if Design Thinking ends up embedded as another AI generated practice, in a consistent way? What if that is not such a bad thing? As the world evolves and we are more and more surrounded by sensors, learning bots that will look at what we do and how we live, and copy, learn, improve, AI data will trigger the design the solutions without much concern about design as we know it, as a human effort, the act of designing. These designs will many times power seamless, almost invisible solutions that create new habits and routines which we will adapt as humans always do. Design thinking as a way of solving problems is and will be learned and used by all that are designing businesses, organizations, policy, and it will be abstracted and described as part of the AI process; collect & connect relevant data (including human, but not only), generate alternatives, prototype and test, learn, refine and implement. The use of industrial design to create aesthetic and tiered manufactured objects will become obsolete as these objects will be more and more right for us, for what we need them to be/do, there will be less of them, we will respect more the resources that go into it, they will become leaner and perform as expected, because they are designed via AI. We will apply design as arts and crafts to small batch, handmade objects and artefacts like we did in the beginning before the industrial revolution, art will always exist and will become even more important as the only place where humans will express themselves in ways machines won’t, not because they can’t, but because we will create that safe haven as a last resource to keep us humans. These objects will actually look good, not only because simplicity and beauty will be driven by AI that learned from humans, but because will also learn to adapt to new versions of simple and beautiful. There will be no need for UX because AI and technology will drive new user experience, it will take into consideration our behavior and uniqueness (which is overrated, we are actually less unique and will become even lesser), but it will also instill new patterns and change behavior in a seamless way, like gestures for turning pages in digital solutions, which vaguely look like humans turning pages but it is more than that and changed the way anyone will turn or scroll pages. No need for UI, the interfaces will become simpler and simpler, based on libraries that are built on usage, gestures and voice, subtle movements and behavior will drive new interfaces, no need for screens and buttons, complexity there today is human caused, offering too many options and features will become a thing of the past because AI will define what is necessary based on data of what we really do, use, need. Architecture is already and will become more driven by sensors and AI, and choices will be made by AI as to what goes where, the different functions spaces will have, how it will be maintained and managed. There might be space for placing objects, but those will be AI produced and so human activity will resort to placemaking. The world was always run by technology and will be even more in the future, we skipped an era when we were supposed to become more human centric as to say more individualistic, society will have to address real complex problems with AI and this will be done with less and less human intervention, it will be a more humanity centric society where we will relegate to AI the really hard decisions of how to deal with poverty, famine, violence, life, death. There will always be people that look back and long for the past, but overall society will be happier, many of the design human traits will be reserved for personal expression, about ourselves and our surroundings, from a menu that is AI generated and offered, we will all become collectors and artists as a last resort to express what we call human, we will connect to other humans in a coordinated, managed approach, with less risks. Did I just write all this? Or was it my AI? ?